My husband, Steven, always knew he wanted to be in the military- a career where he could serve our country and honor his family. He’s been in the Air Force for 12 years and is currently a (Staff Sargeant) Security Police Officer. In his military career, he’s been on deployments overseas and stateside, training away from home, and drill weekends (which is one weekend a month, despite his normal 40 hour/week job). In the meantime, we married and had three boys. So, our family life tends to revolve around military orders. It’s a tough gig! The boys are used to dad being away at work. They don’t question why he has to go. They know their daddy is a “soldier” and that he protects us. The only thing they really question is where he is, and if he has a bed to sleep on, etc… The last time Steven was away for a long time was when our oldest was a newborn. It was harder on me, knowing that we were missing all the firsts together. But some kids are old enough to know when is a long time and that becomes their normalcy. On the other hand, as a military wife, I have to balance my role and my husband’s role when he goes away. This is why I chose to be a stay-at-home mom, after all. I knew that during my husband’s last deployment, that my duty was at home. If something needed maintained, fixed, or figured out, that all fell on me. On top of my regular duties. Then there’s the whole deployment thing, which is a beast of it’s own. Pre-deployment training, briefings, family readiness, wills, extra phone calls and paperwork, packing, mentally preparing…. Then you actually get settled in and dinners are lonely. The bed is too big at night. The days are more quiet. Trying to find time to chat with your spouse is nearly impossible! The last time he was away, he got one day off weekly. In that time off, he had to get laundry done, pick up mail, and do any other errands. I would get to talk with him live on a webcam about once or twice a week. And some days, you just need your best friend to talk with at the end of a long day, so that was a bummer. I’ll still never forget the time we were talking online and I could hear the explosions in the background. That was 6 years ago to the date! Re-enlistment is coming up and he’s decided on staying in for another 8 more years. This means, these deployments and all of the same challenges are sticking around while we raise our kids. This was taken within seconds of us being reunited at the airport! No one tells you how overwhelming that’s going to be! 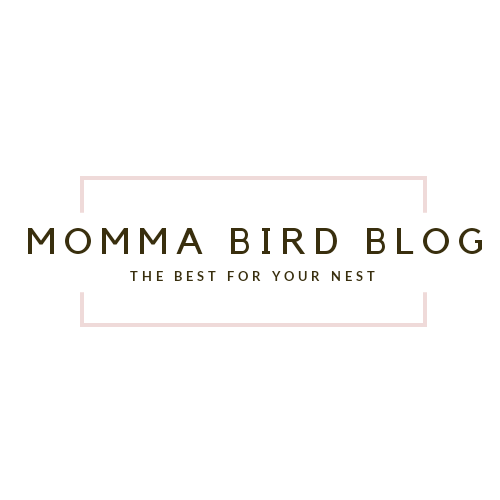 For new readers of Momma Bird Blog, here’s the whole family! The reward comes in a variety of ways. One of the best rewards is when our family gets a little extra love and support from friends and family. Especially when Steven’s gone, we tend to visit other people more often. Another rewarding moment is when people thank Steven for serving. It really makes me proud! Recently we were out shopping (with no sign of my husband being military) when another guy who (also had no sign of being military) stopped us. They thanked each other for their service and shook hands. It was an engaging experience! There are plenty of ways to show your support to military; the green porch light, banners, t-shirts, and more. You can uplift their families (especially during deployments) by making friends with them, offering to watch the kids, fixing things around the house, or fixing dinner. Literally anything. If you don’t know how to help, ask! I’m sure they will appreciate it like we do! We take for granted what we have in this country. Don’t forget about the people fighting for it!